The research activities comprise the supervision and support of the E-EDU 4.0 project, part of which includes the cooperation with the lead partner for ongoing coordination and the supervision of the communication work package in the project. From a scientific point of view, the project aims to build up a network of training and further education partners in the Italy-Austria region and to develop and offer innovative training courses in connection with Industry 4.0. 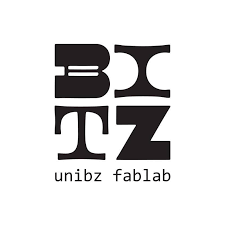 Specifically, the research fellow is developing new seminars and training courses for students, companies and schools in the Smart Mini Factory Laboratory of the Free University of Bozen/Bolzano as a learning factory 4.0. In addition, the collaborator develops new topics and technologies related to industry 4.0 and its implementation in industrial companies and experiments with these technologies in the laboratory environment. The research activities comprise the research of suitable assistance systems for operators in industrial assembly and production for the inclusion of older people and people with disabilities. The study will be carried out in the Smart Mini Factory Laboratory and in cooperation with local associations and cooperatives for the disabled persons. The activity includes an analysis of the current market for assistance systems, the planning and implementation of a workplace equipped with various assistance systems and the performance of tests to validate their suitability for the aforementioned target groups.